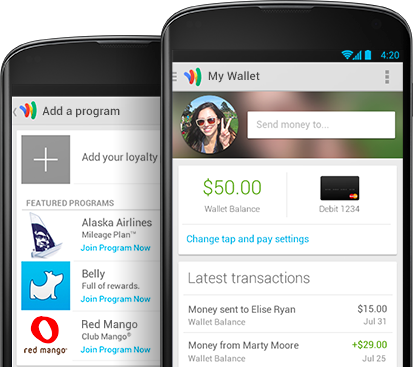 Google has announced that it will start rolling out a new version of its Wallet app in the US that will bring a better overview of purchases and allow for easier sending of cash from a phone while on the move. The new app also promises to group together all your loyalty cards in one place for convenience by simply scanning or inputting the number from the card to the app, and then scanning the app next time you’re at the checkout. Google added that soon Wallet will notify users of nearby stores for which they have a store card. The update also allows Wallet users to view offers within the app, no matter whether they found them on Google Maps, Google Search, Google+ or Google Offers. Google also said the update resulted in a better overview of all purchases made using Wallet, whether that’s via NFC in-store or on the Web or a mobile.